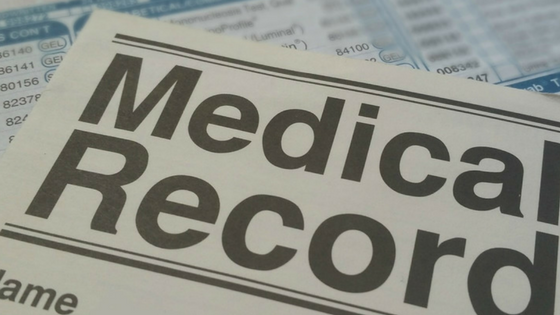 Converting your medical paper files to an electronic health records (EHR) system is a process that must be handled with extreme care. However, it does not have to be a source of anxiety. Remember that if you don’t have employees to spare for this project, you can always hire an outside firm to handle this process for you. The most difficult part of the EHR conversion is the chart conversion. This is when the staff members of a medical office must take all of their patients’ medical charts and input them into the electronic database. A single mistake could, conceivably, cost a patient his or her life. What Are the Steps to Convert to EHR? To begin, make sure that all your patients’ medical charts are completely up to date. And all this information should be written on the exact same kind of form, even if an office employs more than one physician. The forms with the necessary info should be right at the top of the file, so that the clerks who will enter the data into the EHR can process the paperwork as quickly and as efficiently as possible. Once that information is in your system, you can input the info that is still very important but older and not quite as life-or-death, including facts about medical episodes from years ago and about past surgeries. You also might want to input the information for patients you see frequently first, patients who suffer from chronic conditions and / or patients who are now undergoing complicated courses of treatment. From there, you can move on to the patients who are in good health and who have shorter, more straightforward medical records. Establish the date when you want your EHR system to be ready, and hold your employees accountable for that date. Without a firm deadline, a project this massive has a tendency to take much longer than it needs to. The due date gets employees focused and encourages them to work faster. And unless you want to oversee the details of this project yourself, appoint a staff member as overseer of the conversion. It will be that person’s responsibility to make sure the project is moving ahead on time, and that every staff member is doing his or her share. In addition, someone should be responsible for handling all of the new data that comes in. For example, if all of Mr. X’s patient data has been entered into your EHR, but Mr. X injures himself while on vacation in Florida and goes to the emergency room, who will make sure that the medical info that the Florida hospital sends to your office makes its way into Mr. X’s EHR file? Once you have all your medical records stored electronically, keep using the old paper files for a few more visits with each of your patients. That way, you can use a paper file to check a patient’s EHR and ensure there are no mistakes in the electronic version. If you do spot an error, you can correct it on the spot. In a similar vein, keep testing your EHR system thoroughly. Try out all of its different functions to be certain there are no major glitches. You also must decide what you will ultimately do with all those paper files. You can leave them where they are. You can rent storage space, or perhaps you have an empty room somewhere where you can stash them away. Many states now allow physicians to destroy their medical files if all of the important paperwork has been scanned into a valid EHR database. Of course, you have to be absolutely positive that everything you need has in fact been scanned, and that you have a flawless electronic system in place before you eliminate a single file. Finally, decide who will train your employees on how to use the EHR system. You can designate an employee to attend a training workshop, and have this person return and conduct a training session of his or her own one day. Otherwise, you could hire an outside expert to come in and conduct a session.